This week on Hand Stamped Sentiments we have a color challenge of Daffodil Delight, Tangerine Tango and Pool Party. For my project I used the Vintage Leaves stamp set with coordinating framelits. I stamped the leaves in Tangerine Tango on Very Vanilla card stock. I sponged Daffodil Delight and Pool Party on the leaves. The background I embossed with the Woodland Textured Impressions Embossing Folder. The sentiment was die cut from gold foil paper with the Hello You Thinlit dies. Creating this card was easy! Go to Hand Stamped Sentiments to check out how this Color Challenge inspired our design team and I hope you’re inspired to create a project and join us! This week on HSS we have a sketch challenge. The For All Things and Fall Fest framelits were perfect! I love the stamp set and framelits. The Color Me Autumn DSP coordinates perfectly and I used the leaves from the stamp set to create a coordinating layer. The layer tag was created using the Tag Topper Scalloped punch and Eclectic Paper-Piercing Pack to embellish the tag. Join us at Hand Stamped Sentiments and show us your project. 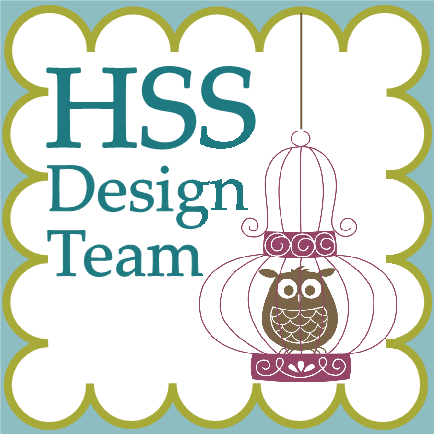 For more inspiration hop on over to HSS and see what our design team has created. I created this easel card with the fabulous Wonderfall stamp set and Autumn Accents die. The card base was die cut with the Floral Framelits. The technique I used to color the leaves I learned at convention. The large leaf was stamped in More Mustard. I then sponged the edges with Cajun Craze and distressed the leaf by folding it in my hand. I opened up the leaf then took my Raspberry Ripple ink pad and stamped the leaf with the ink pad. The folds picked up the ink fabulously! I used the same technique for the smaller leaf. I embossed the Very Vanilla background layer for the card with the Fancy Fan Textured Impressions Embossing Folder. For the Very Vanilla bottom layer I stamped the image with the Daydream Medallions then die cut it with the Floral Framelits. I used the rock’n roll technique for the sentiment. I always forget about this technique and need to use it more. I hope your inspired to join us this week at Hand Stamped Sentiments and show us your fall inspiration.